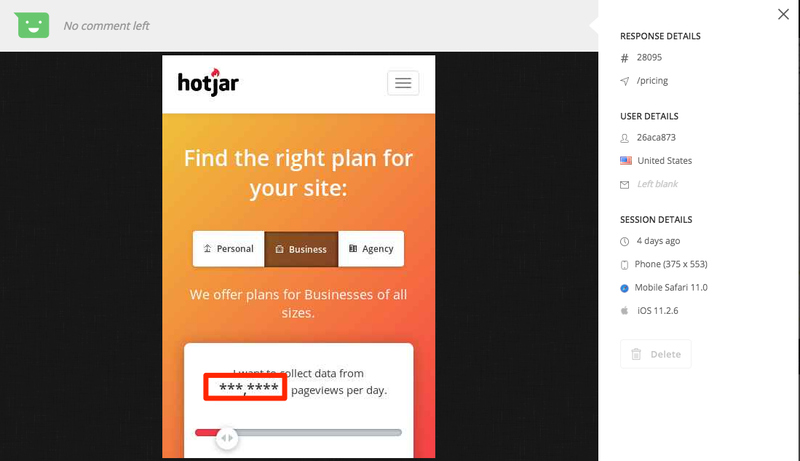 With Hotjar fully committed to privacy and to achieving compliance with the General Data Protection Regulation, we now offer the option to suppress all text for you entire site. Visit Sites & Organizations within your Hotjar Account. 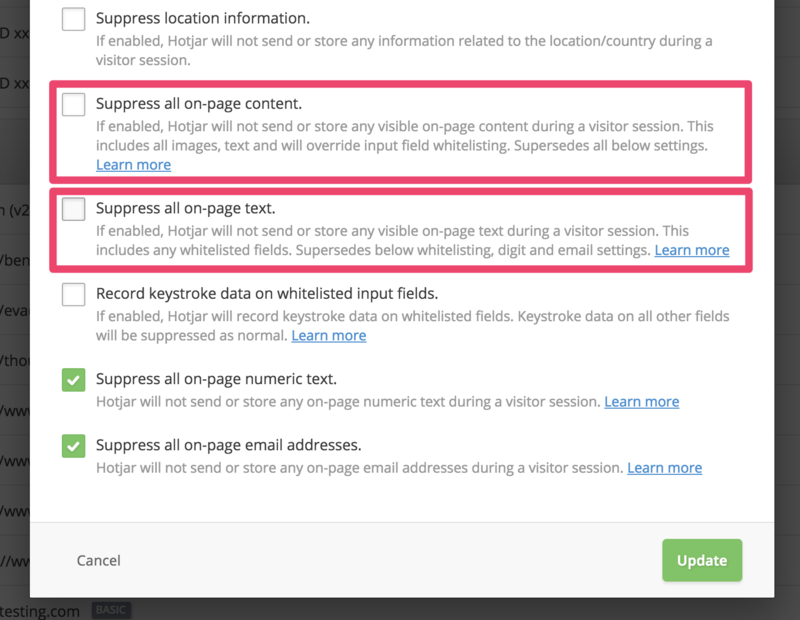 Click the gear icon to access Site Settings for the site you would like to suppress on-page text. You will need an Admin user permission or higher. Check the boxes for the type of suppression you'd like to activate. You can learn more about whitelisting in our Whitelisting Input Fields article. Make sure to click Update to save changes. 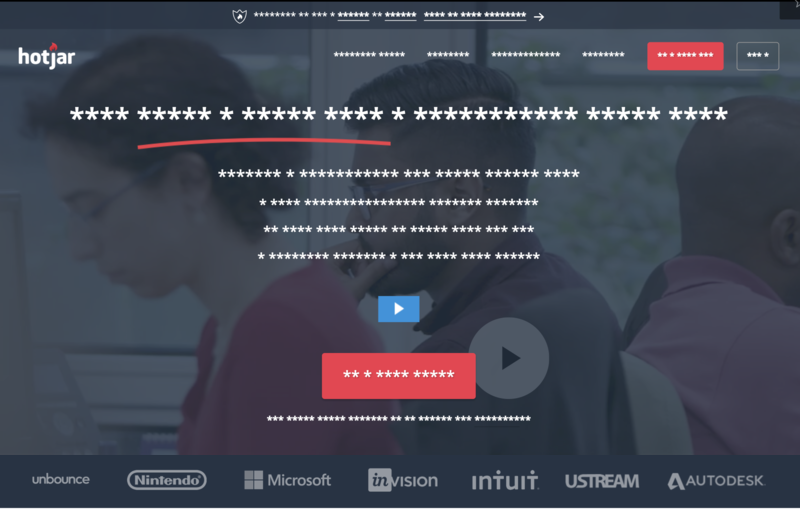 All On-Page Text Suppression replaces all on-page text with asterisks in Heatmaps, Recordings, and Incoming Feedback. 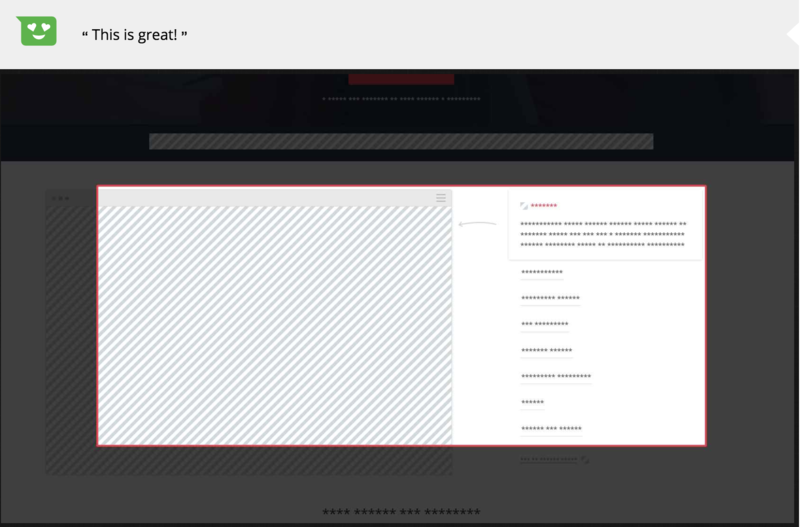 All On-Page Content Suppression blocks all page content (images and text) from appearing in Heatmaps, Recordings, and Incoming Feedback. These options apply to any pages that have your Hotjar tracking code installed. Check either Suppress all on-page text or Suppress all on-page content. We currently do not support suppression for historical data. Any data collected before starting the on-page suppression will not be suppressed. Why are my screenshots not being suppressed? 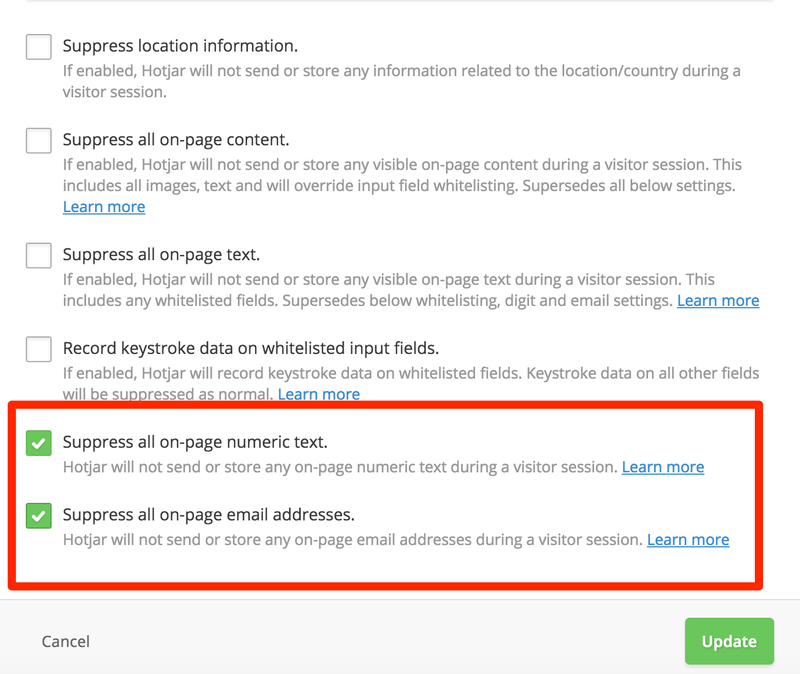 If the text you are trying to suppress is not located directly on the page or is located within a text field, you will need to set up suppression within an input field for both Heatmaps, Recordings and Incoming Feedback. You can check out our articles Suppressing Input Fields in Heatmaps , Suppressing Input Fields in Recordings and Suppressing Input Fields in Incoming Feedback to learn more.